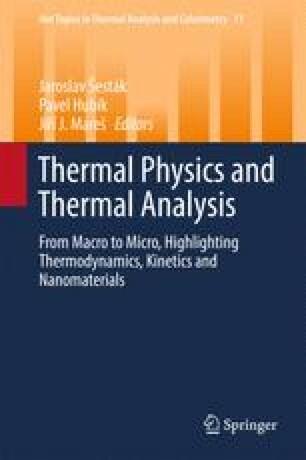 Thermodynamic description of systems with nanoparticles in the frame of the Gibbs theory of interfaces is presented. Although much attention has been paid to thermodynamic modelling of nanosystems, the calculation of phase diagrams of nanoalloys as well as the assessment of effects of surface-related phenomena on the solubility of nanoparticles and gas–solid reactions, some discrepancy still remains dealing with the expression of the surface contribution to molar Gibbs energy and chemical potential of components. It is shown that due to the non-extensive nature of the surface area, these contributions are different for molar and partial molar quantities. The consistent expressions for molar Gibbs energy and chemical potentials of components of spherical nanoparticles are put forward along with the correct forms of equilibrium conditions. Moreover, the applicability of the shape factor α = A non-spherical/A spherical (V non-spherical = V spherical) which is used in the expressions involving surface-to-volume ratio of non-spherical particles is addressed. A new parameter, the differential shape factor α′ = dA non-spherical/dA spherical (V non-spherical = V spherical, dV non-spherical = dV spherical), is proposed which should be used in equilibrium conditions based on the equality of chemical potentials. The enhanced solubility of paracetamol nanoparticles in water and thermal decomposition of GaN nanowires are demonstrated as examples of size effect in nanosystems. This work was supported by Czech Science Foundation, grant number No. 13-20507S.